Leading Manufacturer of automatic sawing machine and jih-18db, 24db automatic sawing machine from New Delhi. Our organization specializes in presenting an extensive range of Automatic Sawing Machine. We manufacture high-tech, high precision, high efficiency precision lapping machine in the domain. 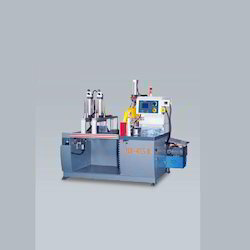 This machine is equipped with cutting and polishing devices made of adhering to OEM and ODM standards. In addition, the offered machine is equipped with a new generation of research and development modules. Along with it, clients can get the machine installed at their unit at industry leading rates. Saw Spindle Speed 3,200 R.P.M. 1 ,800 R.PM. Fostered with vast industry experience and knowledge of this domain, we are engaged in offering an array of Automatic Sawing Machine. There is a variety of hard engineering companies use the sawing machine. 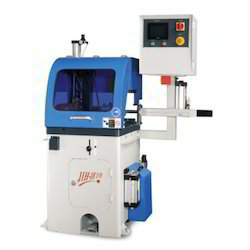 This machine is made obtainable adhering to industry standards. The robust design and the best possible performance are the imposing specifications of the machine. Provided machines and spare parts are manufactured using high quality materials and approved components at our unit. 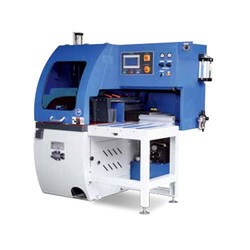 Counted amongst the leading manufacturers, suppliers, and traders of this domain, we are offering Automatic Sawing Machine. Accuracy and alignment are the leading attraction of the machine that assurance for high productivity. The machine is built using quality approved components and advanced technology. Clients searching for such tool can get the information concerning information from us. Also, clients can order the machine from us at reasonable prices and will get the delivery within stipulated time period. 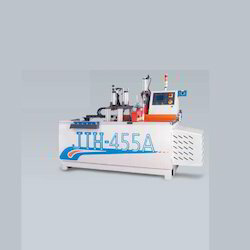 Looking for Automatic Sawing Machine ?